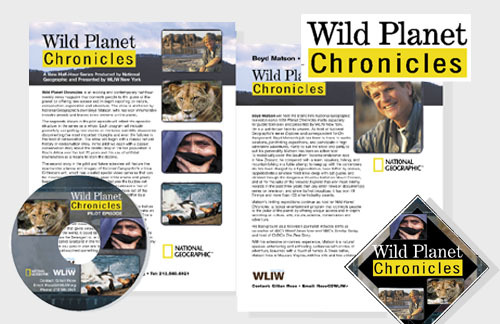 Promotion & Marketing | Graphic Design New York | Clare Ultimo Inc.
WLIW NY needed to launch a new National Geographic weekly news magazine to their affiliates within a very tight time frame. The challenge of a project like this was in essentially having two clients: WLIW and National Geographic. Once we evaluated the visual direction of both organizations, we were able to come to a satisfying and successful conclusion for them both. Shown here is logo design, marketing sheets, DVD design and triangular label for folder.